In short it goes like this: "There's a cat in a box... That has, like, a 50/50 chance of living because there's a vial of poison that's also in the box. Regular physics would say that it's one or the other. That the cat is either alive or dead, but quantum physics says that both realities exist simultaneously. It's only when you open the box that they collapse into one single event." This quote is me paraphrasing James Ward Byrkit, writer and director of the movie "Coherence" I've just watched. 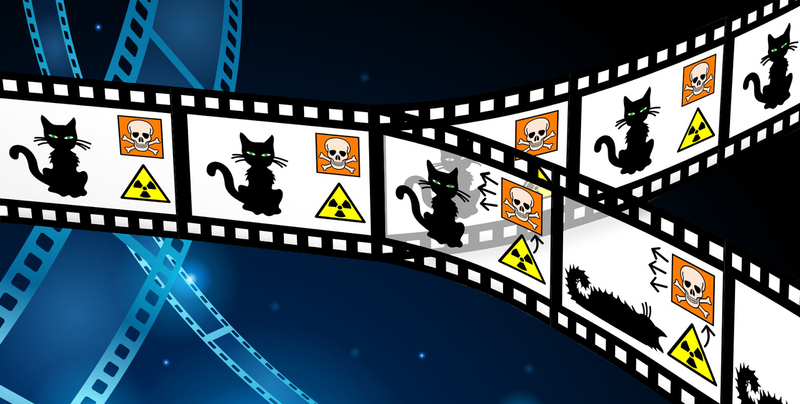 Although Erwin Schrödinger back in 1935, when he first wrote his famous thought experiment, invented pretty complex radioactive trap for the poor cat inside the box, I think that "vial of poison" and James' full description in the script is one of the best interpretation of the quantum paradox there is. The quantum weirdness is one of the most intriguing areas in science, that is still buzzing our minds for about a century now. I wrote about it a little last year in post Quantum Weirdness and when it comes to science, it was one of the posts I enjoyed writing the most in the past. About 90 years ago, Niels Bohr, the greatest Danish physicist of all times, described the quantum mechanics perhaps with the best explanation ever since. He said something like this: "Quantum particle doesn't exist in one state or another, but in all of its possible states at once. It's only when we observe its state that a quantum particle is essentially forced to choose one probability, and that's the state that we observe. Since it may be forced into a different observable state each time, this explains why a quantum particle behaves erratically. "* Well, describing the quantum behavior is a challenge ever since and because of Bohr who managed to do it first, all other explanations combined we call today "The Copenhagen Interpretation". The Schrödinger's cat is just Erwin's metaphorical attempt to put it closely into our world of big which we should understand better. But we will get back to the 'cat' later..
And relax, this is not going to be the scientific post or some nerdy brainstorming and (usually) utopistic ideas of mine. Instead it will be about movies. Yep. Just short glimpse of one of my favorite direction within Sci-Fi genre of movies. The one where, just like with reading books, you don't need any big productions, fancy and state of the art visual effects, expensive sets and VFX or famous actors to create great entertainment. This is a genre I like to call Sci-Fi for the brains. Like in the movie "Coherence", the plot is placed down to the real people, or to be precise into familiar settings. There is no space ships or vividly animated aliens or any villains for that matter. All you need is your imagination, little background knowledge and that's all. I will show you now three movies I recommend warmly and without too much spoiling the films for all of you who still didn't have the chance to watch them. Couple of days before "Coherence" I have seen the blockbuster "Edge of Tomorrow". I liked it a lot, of course, but still, even though with great cast and effects, the story is nothing exclusive or new. It also provides expected closure and left no room for too much thinking or brainstorming over the story. On the other side, "Coherence" with it's relatively anonymous cast and script, that can easily fit within the set in some small theater or school gym, tried to exploit the very cat of mister Schrödinger's and provide one more Copenhagen interpretation, only this time with people in main roles and our own personalities instead of "vial of poison". It all started with simple dinner party and with ordinary people who eventually realized what might happen when you open the box. Is the cat alive or dead, or to be precise what is really happening when different possibilities emerge out of the box in the same time ... try to find at the end of the movie. It's not what you might expect and what we got used to in regular movies, but not every story has the happy ending. 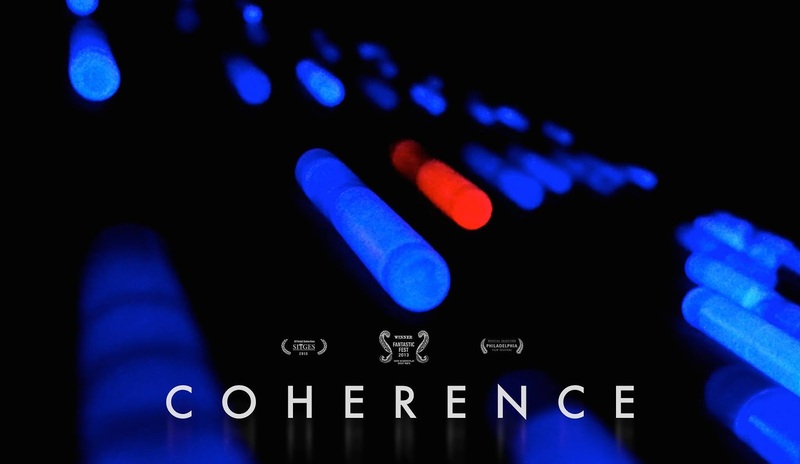 I guess in this one, the ending is like in quantum mechanics and like the cat from the century before, "Coherence" has both happy ending and ... not. You have to see it to understand. That's all I will say. 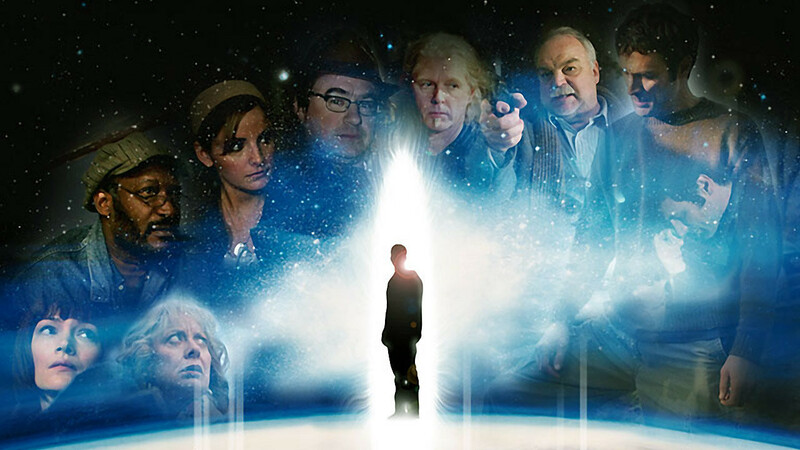 The second Sci-Fi jewel in the same sub-genre is "The Man from Earth", written by Jerome Bixby and directed by Richard Schenkman back in 2007. The science behind this one is biology and how, in its most divergent (and also on the edge of impossible) path, it might affect the very history of mankind. Or to be precise, explained it. The story focuses on John Oldman, the man who, due to some biological anomaly, doesn't age ever since he was born in Cro-Magnon tribal society 14000 years ago. Like any other science fiction, the movie doesn't try too much to explain the reasons of his presence and instead portraying his straggle to fit, ability to learn throughout time and adapt into different parts of the world and his everlasting crave to tell somebody his story. And this film is exactly what it is about - finally, the "old man" Oldman, currently university professor who's about to leave and start another loop, decides to share everything with a group of his peer colleagues. Well, he will learn that impossible stories like his one is not possible to be accepted that easily or at all. But the audience behind the screen will get great entertainment and possible solution for some parts of our own history, and especially, religiosity and it's main figures during the eons. Including Buddha and Christ. Oh yes, and don't expect the sword fights, mad scientists or any action at all, like it was in "Highlander" and it's, almost stupid plot with cutting heads off for the "prize". The set of this movie is only one small living room. The only thing you have to do is sharpen you brain cells before clicking the "Play" button. Finally, the last one is "Primer", extraordinary film written, directed, and produced by Shane Carruth. Shane was also playing the main character in the movie and the entire project finished with only $7,000. It's hard to say what science is behind this one. Probably the best bet is to use word "fringe" for this as the main theme and background technology is "time travel". The script is based on the one of oldest time travel paradigms. The one that doesn't include parallel universes and instead the time traveler is ending into his very own universe where the danger of "butterfly effect" can ripple the time stream and change everything. This is the most intelligent script and movie I have seen so far and before I watched I read some reviews before and remember this one: "Anybody who claims they fully understand what’s going on in ‘Primer’ after seeing it just once is either a savant or a liar". Well, I am not either and to be completely honest I didn't manage to follow entire story and understand it after the first (and last) watching but more or less I got the almost whole picture from that only session. 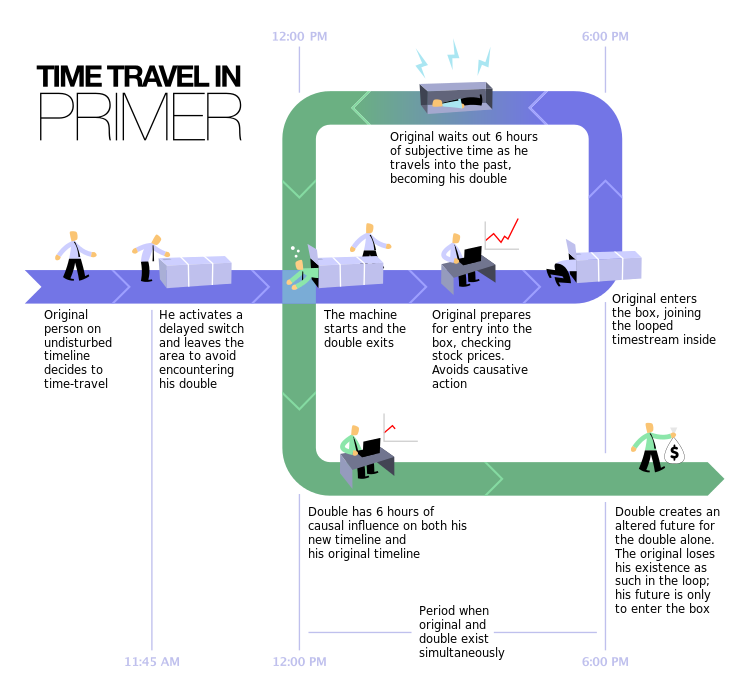 The hazard is obvious, if the "original" in its own blue timeline didn't enter the box at 6PM, the green parallel timeline would not exist in the first place. In other words, if "double" meets "original" and stops him from entering the box, the paradox is obvious and we can only imagine what happens if that "butterfly" occurs. That's why "the science fiction behind time travel" in recent years actively rejects this approach and involves another universe being destination for time travelers instead of the origin universe, which would explain consistency of traveling into past. Of course, we might ask what would happen if ALL "originals" from ALL universes decide to time travel? Whatever universe they arrive, the copy of them will be needed to enter the box in destination universe and we have the same problem again, let's call it "Multiverse Butterfly Effect"... Anyway, if you didn't see "Primer" or want to watch it again, try to comprehend this image first. It will help a lot. These three movies, even though from the same genre and sub-genre, differ in used background science and I can't truly compare them with each other. So I can't favorite one of them but these are the movies I like to give thoughts again and again... They are not really made for just entertainment and for me, more memorable then regular Sci-Fis.